Congratulations to my granddaughters! Their lemonade stand collected money for an important charity, Braden's Hope. 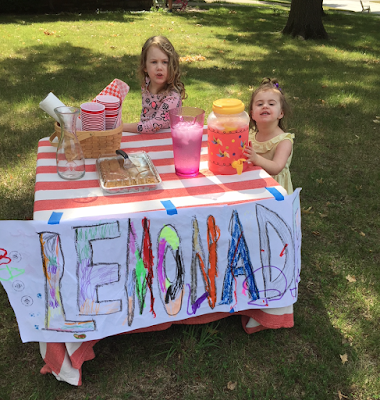 The lemonade was delicious and the service was outstanding. In case you are wondering, Daddy outlined the letters and the girls filled them in.